Tamia was matched with Big Sister Denise when she was eight years old. At the start of their relationship, Tamia was struggling with behavior in school. She lives with her younger brother and mother, and her mother recognized that Tamia would benefit from having a strong mentor. Denise worked closely with Big Brothers Big Sisters Match Support Staff and remained a consistent and positive presence in Tamia’s life. After many years together, Denise and Tamia both reflect on how much Tamia has grown. Denise has high expectations of Tamia, and she has been a positive influence on her education. 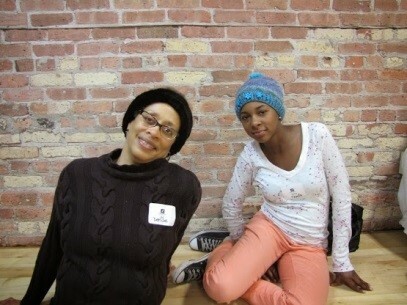 Denise has stayed involved in Tamia’s schooling through academic challenges and school changes. Tamia knows that she always has Denise’s help and support and is now much more dedicated to school.